Acne sufferers have hailed a new £6 soap as a 'miracle' product, claiming it can clear skin in as little as seven days. 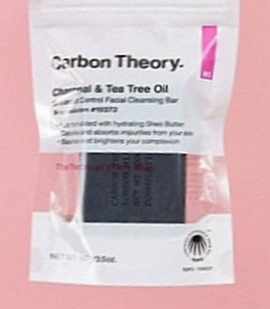 Carbon Theory, made by a London-based start-up, launched exclusively in Boots earlier this year and has sold out in many stores across the country as word of its powers spread on social media. Made with organic tea tree oil and charcoal to reduce inflammation, fans have been praising the product on Instagram and sharing images of how it's improved their skin. If you cannot get hold the above said soap, maybe you want to use other soap or body wash that has tea tree oil as an ingredient.